Uplogix Local Management Blog: What does it mean to have an IoT-ready network? You know the hype: Cisco says that there will be 50 billion devices and objects connected to the Internet by 2020. That's less than five years away. What does that mean for your network? What should you be doing today to have a network ready for tomorrow? As Internet of Things (IoT) technologies begin to roll out, there are a few things like increased bandwidth and data capacity that will clearly be important. Not only are you meeting current demands, but how hard will it be to scale as needed? "IoT development today is at an early stage, perhaps at a point similar to 1995, the same year Amazon and eBay went online, followed by Netflix in 1997 and Google in 1998. People understood the trend at the time, but the big picture was still out of focus." So how do you bring focus to a future that promises to be bright, but is still hazy? Think in terms of real outcomes. 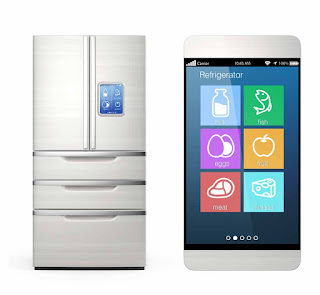 Instead of wondering if you are ready for an Internet-connected refrigerator, think about cause and effect. For example, an IoT-connected network in a medical center shaved 51-minutes off of a patient bed turnaround time. Major cities are cutting energy costs by 62% with IoT smart fixtures. What are the costs in your business that IoT tech could impact? Start there and the network you need today and in the near future will be a little more in focus. Uplogix has some broad application to the IoT revolution in that we help make your network more reliable and easier to run. This frees up time by automated routine tasks that you can apply to innovation. Plus, as your network demands increase and scale in size, Uplogix lets you securely grow without increasing headcount.